The Plan… Their Plan… They’re Coming… Committed ! Most people don’t believe it… They don’t want to believe it. Heck, they don’t want to imagine it much less talk about it. But it is True. Look at England, France, Germany, others. If we Christians and other Infidels allow them to succeed. It will happen, IF we let it happen, and it is happening now! and severe punishments as dictated by Sharia Law. Please click on or copy and paste this link below and read. for what you believe and accept, and reject what you don’t. You have freedoms that much of the World doesn’t have. Hang on to our way of life and reject adverse change. 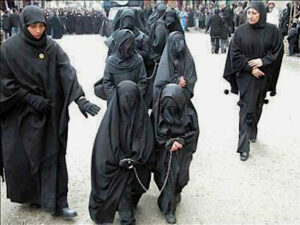 the ramifications of life under Sharia Law. think about the lives of your children and grandchildren. Religious life and freedom do you want for them? Which?